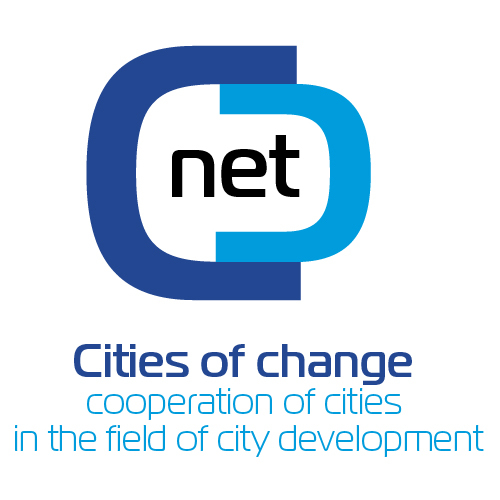 The project "Cities of change - cooperation of cities in the field of city development" is the first step of creating a thematic network between 14 cities from 11 EU Member States. 1. Establishing a sustainable European network for exchange of experiences and good practices in the field of cities development policy, involving modern, strategic city management. 2. Elaboration of model solutions on city strategic management applicable in local administrations. 3. Enhancing awareness of citizens role in decision making, promotion of participative democracy and good governance among local self-governments. 4. Promoting transfer and exchange of knowledge from science to local self government for solving problems of cities' development. Establishing of network will start with the proposed two-year project concerning innovative methods of monitoring changes to improve large cities' development. It will focus on exchange of experiences and capacity building activities in three thematic areas: systems of strategic monitoring, methods of public consultations involving citizens, analysis of quality of life indicators. Representatives of partners (practitioners and experts) will participate actively in 3 project events (including public conferences, workshops, public debates, study visit, seminar) to exchange experiences and improve knowledge in the project subject. Project partners and experts will work together on common publications. The project will produce 3 "tangible" outputs: 1 introductory publication,1 main publication (including summary of the project, presenting practical and theoretical approach to 3 thematic components, good practices presented by partner representatives and experts), and 1 project website. The main and most important project result will be commencement of the long-lasting, sustainable network to continue co-operation between its members beyond the time frame of the proposed project. Action 1 - Active Citizens for Europe, Measure 1.2 - Networks of twinned towns.